Lint Remover By Furzie. Removes Lint, Pet Hair And Debris From All Types of Clothing, Upholstery and Furniture. Including Cotton, Linen, Cashmere, Silk, Flanel and Woolen. No Refills Required. Simply Wash And Rinse. AS SEEN ON TV. 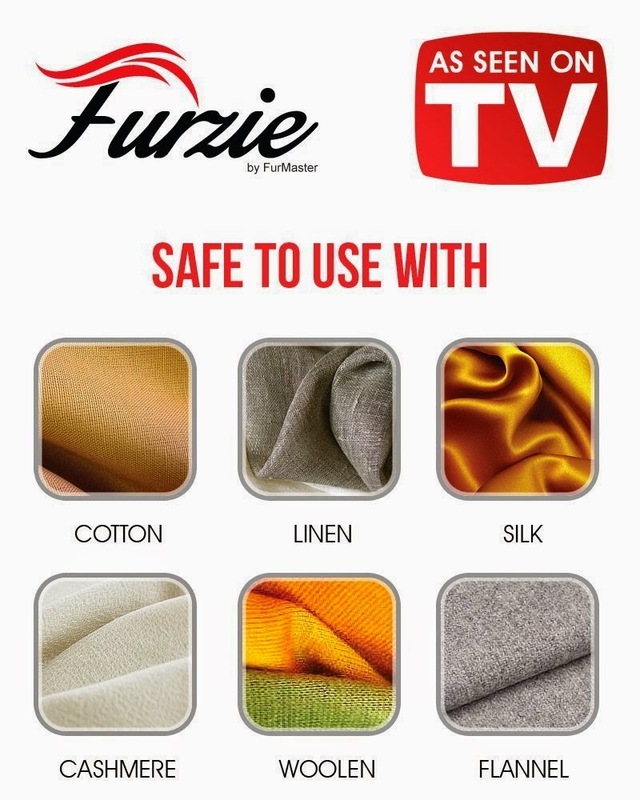 The Furzie works by removing unwanted hair or lint from your clothing, furniture and upholstery. 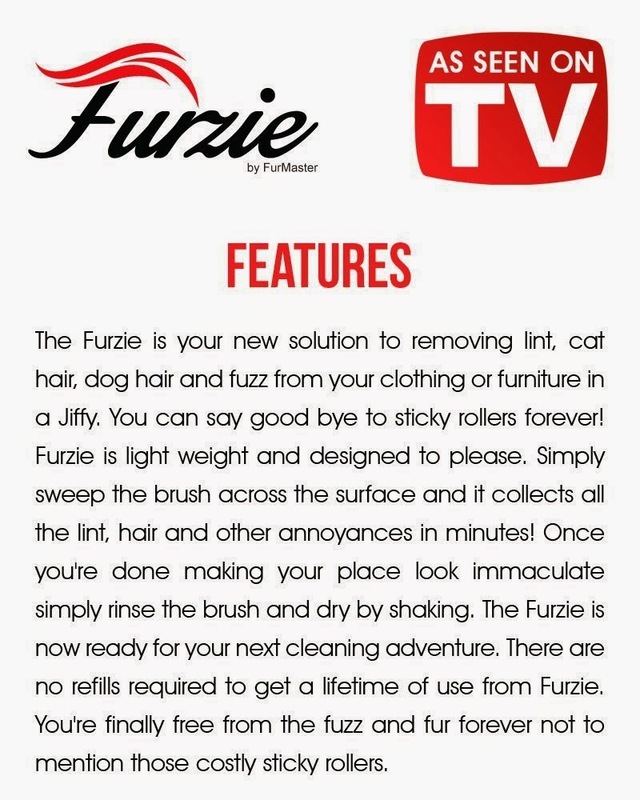 The Furzie is truly a one of a kind Lint and Debris Remover that helps you benefit from the amazing results. No More Lint or Hair! This tool is specially designed for a lifetime of use. 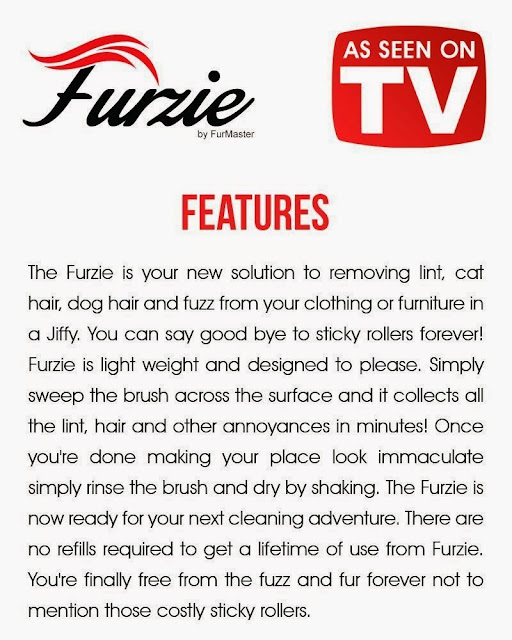 The Ergonomic and light weight design makes the Furzie the perfect choice for Lint and Pet Hair Removal. Compare our product to any Sticky Roller or Lint Remover on the Market and find out quickly why the Furzie® is better and provides longer lasting results! No Refills Required. Simply wash and rinse and your ready to use again. * Innovative and Ergonomic Light Weight Design for Long Term Use. * Removes Pet Hair, Lint, Fuzz and Debris no Problem! * Use on Carpets, Clothes, Linens, and Upholstery. 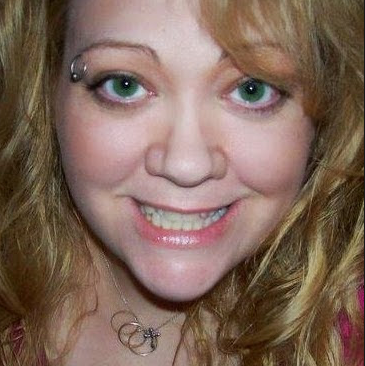 * Designed by a Professional for Long Lasting Results. The Original Furzie - The Original Furzie with 60% Off only on Amazon.com for your Convenience. 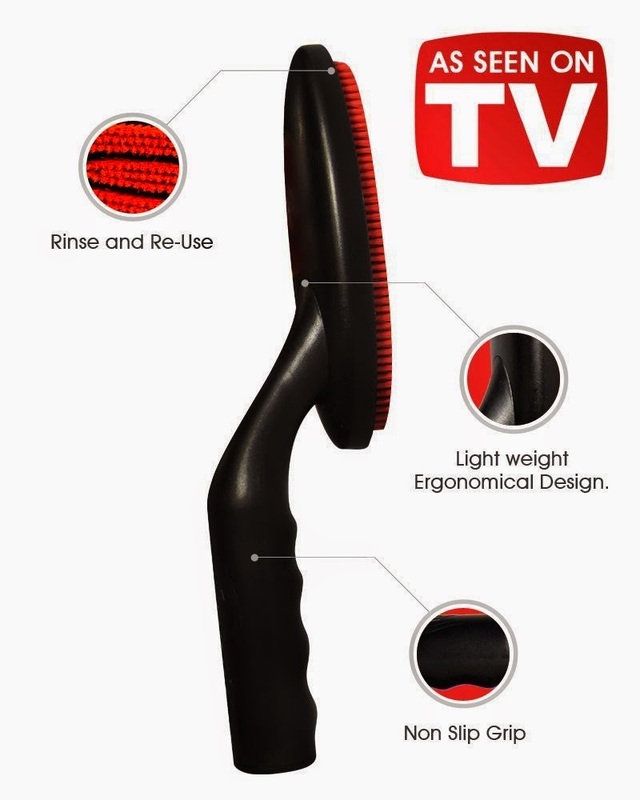 Buy Now you won't be more pleased with your purchase of this Amazing Lint and Pet Hair Remover. Bullet Proof Strong, Handle that WON'T break. Try Our Un-BREAKABLE GUARANTEE. With The Furzie we Offer a 100% Unconditional Money Back Guarantee. I was happy to get to try this Lint Remover by Furzie. We have 2 young black cats in our home and hair seems to get on everything so we are always looking for new ways to remove cat hair quickly and effectively. 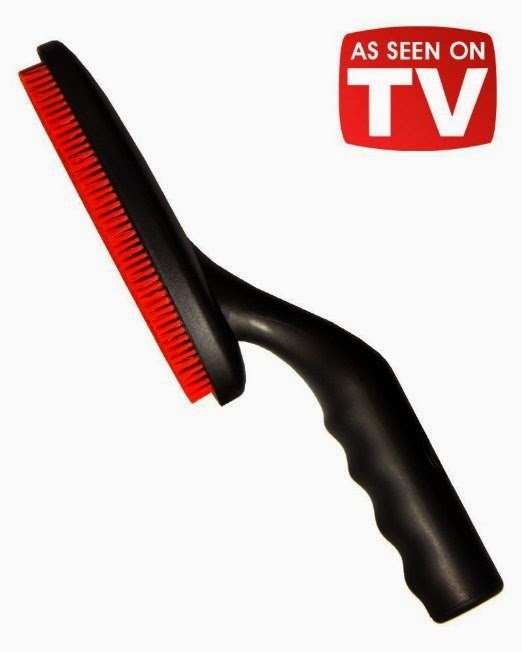 This is a nice brush with fine bristles that removes pet hair pretty well from our clothes and our couches. I like that there are no replacement pieces to buy and it is always ready to use. It is not harsh on our fabrics and is fairly easy to clean. I recommend it for anyone with a pet.